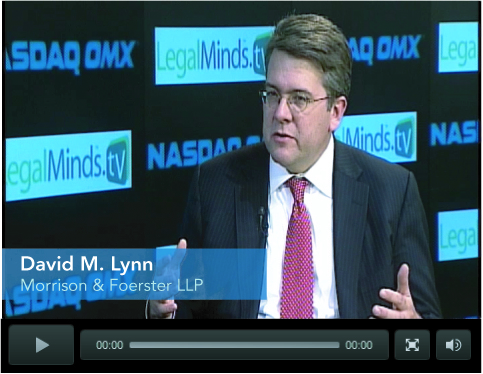 January 12, 2011 (New York, NY) — LegalMinds.TV has announced the launch of a weekly series of video interviews filmed at the broadcast studio of the NASDAQ MarketSite in Times Square. The “LegalMinds/NASDAQ Securities & Capital Market Series” will feature timely interviews with legal experts on topics relevant to the management and boards of directors of public companies, the investment community and companies interesting in accessing the capital markets. Upcoming interviews explore topics such as hybrid financing, maximizing the use of a shelf, the impact of intellectual property litigation on valuations, share repurchase consideration, and the challenges and opportunities for Chinese companies accessing the US capital markets. Kicking off the series will be David Lynn, Co-chair of Morrison & Foersters’ Public Companies and Securities Practice and former Chief Counsel of the Securities and Exchange Commission. Mr. Lynn will be discussing “say on pay” and other matters of that are likely to have an impact in the current proxy season. Content production and distribution is sponsored by the participating firms. 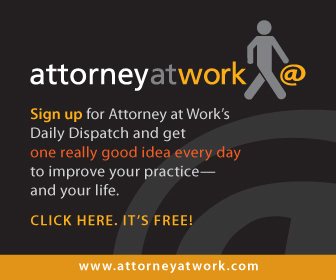 For additional information, please contact Bruce Colwin at 800-452-9150 or email bruce.colwin@legalmindsmedia.com. 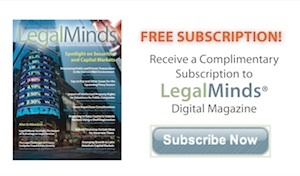 For details on other LegalMinds Thought Leadership programs, go to http://legalminds.tv/thoughtleadership.